We Can Make Your Move Effortless! "I was struggling a lot to find a moving company that could accommodate my personal schedule+old apartment pick-up truck schedule+new apt available time slots for the freight elevator. Despite short notice, Cousins USA managed to successfully move in all my furniture within..."
Ensuring your belongings are properly packed can help make your move go a lot more smoothly. If you are planning on packing yourself, Cousins USA Moving & Storage offers information and packing tips to ensure an efficient and stress-free move. The affordable moving and storage company of Fort Lauderdale, FL. Cousins USA has been the affordable Fort Lauderdale moving and storage company since 1996. At Cousins USA, we can provide you with professional moving services for your local, long-distance or international move. We succeed where other Fort Lauderdale moving companies fall short. At Cousins USA, we can provide you with exceptional moving services. Our moving crew is professionally trained in packing, transporting and unloading your possessions. All your belongings will be handled with great care, ensuring you that everything will be in the same condition that you had left it with us when they arrive at your new home. We have the expertise, resources and equipment to handle any moving job. We take the extra step in providing you with extra padding to protect your home and possessions during the moving process. So, if you are planning a move in Fort Lauderdale, Boca Raton, Hollywood or anywhere else in the south Florida area, you can trust the movers at Cousins USA to get the job done! Cousins USA is a full-service moving company that specializes in a wide variety of residential, office, international and specialty moving services in Fort Lauderdale and all throughout the south Florida area. 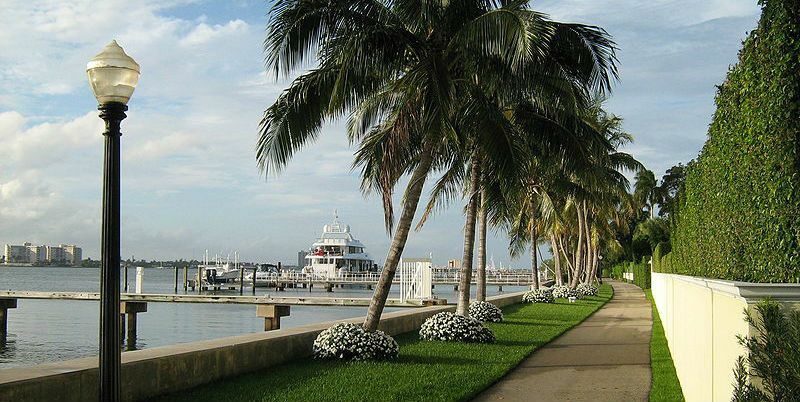 As a full-service mover in Fort Lauderdale, our services can cover every aspect of your move. That is why we offer warehouse storage in the Fort Lauderdale area. If you are in need of some extra room for storing any belongings, we can keep your possessions safe in our climate-controlled and secure warehouse facility. At Cousins USA, we are also an agent of Stevens Worldwide Van Lines, a national van line with over 110 years of experience and knowledge as a reputable moving company. Being an interstate agent of Stevens Worldwide allows us to provide international moving services throughout the world. With Cousins USA, you get the personal touch with a local Fort Lauderdale moving company and also the benefits of a world-wide van line. Last Minute Moves: Our last-minute moving services are perfect for when you need to move in a hurry. On a moments notice, our professionals can help you pack up and move your home. Your move will be carried out efficiently without sacrificing the quality of your move. Specialty Moving Services: We have the equipment and expertise to transport any large or bulky items you may have within your home. Our expertise ranges from gun safes to wine cellars and everything in between. Military Moves: We are proud to help our armed forces and their families move. Out military moving services are available for when you need to move on a moments notice. We are dedicated to providing you with exceptional moving and storage services. If you are looking for the best South Florida moving company, the choice is clear. At Cousins USA we are determined to provide you with exceptional moving and storage services. From the start of your move, you will be assigned a specialized moving coordinator who will take the time to assemble an affordable moving plan that meets all your moving requirements. Our coordinators take the time to listen to your needs and work with you in creating a plan that covers every aspect of your move while staying within your budget. If you are looking for a reputable mover look no further then Cousins USA. We pride ourselves on our customer service and strive for complete customer satisfaction. We take the time to answer any questions or concerns you may have. For all our moving services, we provide accurate and free moving quotes. That way you know what you are getting and will not be surprised by any hidden costs. Plan Early: Begin planning your move at least two months in advance of your move date. This will give you plenty of time to prepare, pack and hire a Fort Lauderdale moving company. Use Transparent Bins: For important items you need right after your move, pack all your essentials in transparent bins. This will help you avoid searching cardboard boxes for anything you need right away in your new home. Choose a Fully-Licensed and Insured Mover: Ask any moving company you are considering if they are fully-licensed and insured. A legitimate moving company in Fort Lauderdale will be able to provide you with their DOT number and details about their insurance coverage. Packing Tips and Moving Checklist: Follow these tips for the best way to organize and pack your belongings. Maximize your moving process by properly preparing all your items for transportation. Last Minute Moving Tips: Learn how to effectively prepare and pack for your move when time isn’t on your side. Follow our tips for a stress-free move even when you need to move in a hurry. 5 Tips for Moving with Kids: If you have children, learn how you can help them handle your move. Take the right steps to make the move as pleasant as possible for you and your children. Cousins USA is proud to be screened and approved by HomeAdvisor. See what customers are saying about our Fort Lauderdale moving services. We have over 25 years of experience providing local, long-distance and international moves for customers in Fort Lauderdale, FL. Let our moving professionals help you with your next residential or office move! When you book your next move with Cousins USA, we will even throw in 25 free moving boxes to help you pack or 30 days of free storage to keep your possessions safe. If you have any questions about the services, we can provide for you, contact us or give us a call today at (954) 792-6650. To begin your next move to or from Fort Lauderdale, FL, fill out our online form to receive a free moving quote. A Cousins USA moving representative will be in contact with you shortly. For the best moving services in Fort Lauderdale and the surrounding South Florida area, go with the professional movers at Cousins USA Moving & Storage.